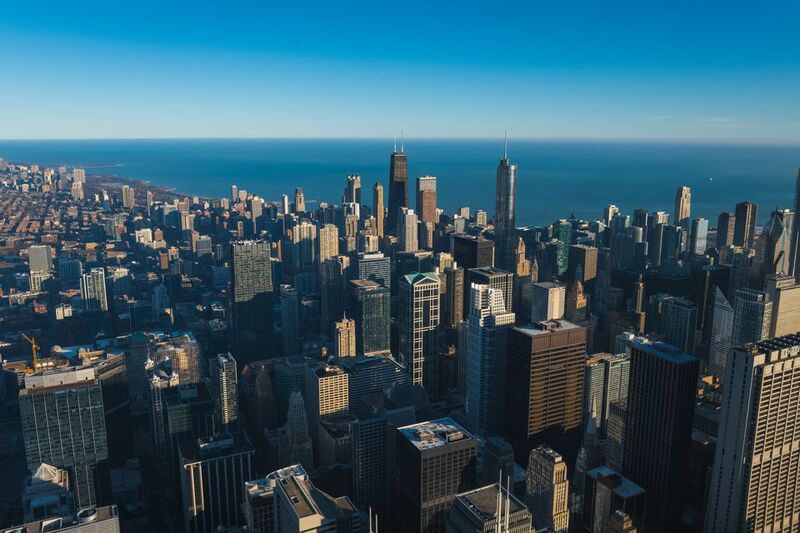 Don’t let the winds blowing off Lake Michigan scare you—Chicago, the Windy City, is a metropolis full of culture and history. Sightseers flock to the birthplace of the skyscraper, for its: Michelin-starred restaurants; major league sports teams; world-class theater, dance, music, and film; festivals; 26 miles of lakefront; well-curated museums; and stellar shopping. Chicago is also full of green spaces that are worth exploring like Chicago Botanic Garden and The Morton Arboretum. No matter what you do, or where you go, you’ll appreciate the city’s midwestern allure, with a bit of urban edginess. This walking-city, with 2.7 million residents, utilizes speedy public transportation to get from point A to point B. As you get on and off the elevated rail, or L, you’ll notice a mashup of sleek and modern buildings with loads of history and nods to the past throughout Chicago’s 46 historic districts and 77 vibrant neighborhoods. Chicago River architecture tours or walking excursions will highlight the City of the Big Shoulders’ storied past—the rise of a transportation hub, the Great Chicago Fire, the World’s Columbian Exposition of 1893, prohibition era, and Chicago’s public enemy number one, Al Capone. Whether you’re a first-time visitor to the Second City, or a seasoned local, peruse this 24-hour itinerary for an across-the-board exploration of what Chicago has to offer, highlighting must-see tourist spots as well as local neighborhood gems. Night: Arrive in Chicago and check-in to your accommodations—there are 119 hotels to choose from in the central business district. Luxurious options in the city include: Waldorf Astoria Chicago, Four Seasons Hotel Chicago (the spa here is fantastic), The Langham Chicago, Park Hyatt Hotel Chicago, and The Peninsula Chicago (the lobby is exquisite). Other well-located alternatives are Hotel Zachary, near Wrigley Field (the second oldest ballpark in Major League Baseball); Hotel EMC2, with a robot concierge; and InterContinental Chicago Magnificent Mile, with a hidden hole in the wall for a prohibition-era alcohol stash. Intrepid families that would love to spend a night at one of the museums can bring a sleeping bag and a sense of adventure to Adler Planetarium’s Astro Overnights, the Field Museum’s Dozin’ with the Dinos, Overnights at the Shedd Aquarium, or the Museum of Science and Industry’s Science Snoozeum. 7:30 a.m.: Take advantage of waking up in one of the best cities in the world and go for a leisurely jog or a fast-paced walk along the Chicago Riverwalk, a 1.25-mile stretch that has Adirondack chairs toward the east end for catching your breath. You’ll pass by stunning architecture, art installations, and boats cruising up and down the Chicago River. Continue on to the paved Chicago Lakefront Trail, along Lake Michigan, which runs from Ardmore Street on the north side to 71st Street on the south side, traversing many historic neighborhoods like Lincoln Park, South Loop, Bronzeville, and Hyde Park. 10 a.m.: Make your way to Cindy’s for brunch, located on the rooftop of the famed Chicago Athletic Association Hotel, formerly a men-only social club. You won’t believe the terrace view of Millennium Park, The Art Institute of Chicago (the “Historic Route 66” begins in front of the Art Institute), Lake Michigan, and the shops and restaurants below at street level. Make reservations well in advance—this place is always packed—and order the avocado toast and the roasted vegetable strata. Save room for the house-made vanilla mascarpone Danish, with roasted cherries. Noon: Across from Cindy’s is the 24.5-acre Millennium Park, a well-loved public space that is home to the Jay Pritzker Pavilion, Cloud Gate—the Instagram-worthy shiny bean-shaped sculpture, Crown Fountain, and Lurie Garden. Millennium Park Campus is also where you’ll find Maggie Daley Park, the best place to go if you have kids in tow. 1:00 p.m.: Meet up with Chicago Architecture Foundation’s guide to learn about Chicago architecture and history on a two-hour walking tour through the city. You’ll get the lay of the land and learn more than you dreamed possible to enrich your time spent in the city. On the way, caffeinate with a cold brew or bulletproof coffee at Goddess and the Baker, located at Wacker Drive and Lasalle Street. 3:00 p.m.: You can’t leave Chicago without weighing in on which pizzeria serves up the best slice of deep dish. Is it Giordano’s, Lou Malnati’s, Pizzeria Due, Gino’s East, Piece, or Home Run Inn? You decide. 5:00 p.m.: Walk off that heavy pizza and stroll along the Magnificent Mile, a 14-block stretch of Michigan Avenue—from the Chicago River to Oak Street—that is mecca for shopping. Here, you’ll find malls and boutiques full of designer threads as well as affordable clothing brands. Keep in mind, this area is usually congested with shoppers, especially around the holidays and on weekends, so it’s best to plan out which shops you’d like to see in advance. Take a few snaps in front of the famous Chicago Water Tower, built in 1869, on the north end of Michigan Avenue. If shopping isn’t your thing, why not take an Intro to Climbing class at Chicago’s Brooklyn Boulders, located in Greek Town, west of the river, near Ogilvie Transportation Center? 6:00 p.m.: Take the high-speed elevator up to the observatory at 360 Chicago (formerly The Hancock Observatory) where, on a clear day, you can see Michigan, Indiana, and Wisconsin. Test your fear of heights on the Skydeck open-air viewing deck and see Michigan Avenue, 1,000-feet below, in the TILT attraction. 7:00 p.m.: You’ll want to experience Chicago’s diverse theater, music, or dance scene—the city has more than 250 theaters, 225 music venues, and 200 dance companies. Long-standing theaters include: The Second City in Old Town, Goodman Theatre and Chicago Theatre in the Loop, Music Box Theatre in Lakeview, Blue Man Group at Briar Street Theatre in Boystown, Steppenwolf Theatre Company, Chicago Shakespeare Theater, Lookingglass Theatre Company, just to name a few. And, of course, Chicago has no shortage of great live music, especially blues and jazz music (the term “jazz” was coined in Chicago). Music festivals like Chicago Blues Festival, Chicago Jazz Festival, Lollapalooza, Pitchfork Music Festival and Riot Fest are well-attended and loved in this city. Not to be missed is Chicago Symphony Orchestra, Lyric Opera and the Joffrey Ballet. The Harris Theater for Music and Dance is home to major Chicago dance troupes. You can’t do it all of course, so pick wisely and plan on returning to Chicago for another go-round in the future. 10:00 p.m.: For late night noshes, local beers, and inventive cocktails, pop over to Lincoln Park’s Broken Barrel Bar, with Chef Bryant Anderson at the helm. This place is great for that non-touristy neighborhood feel that Chicago is really known for and you’ll get a sense of what one Chicago community is like by playing a game of bags or hanging around in the beer garden. Other great options, with completely different environments are: The Berkshire Room in River North, Milk Room in the Loop, The Aviary in the West Loop, The Violet Hour in Wicker Park, River Roast on the Chicago River, and The Optima in Old Town.